The long awaited RX-10 controller is here! The RX-10 controller is a dual zoned controller. 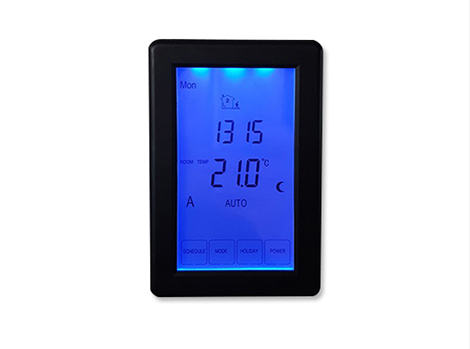 Zone 1 controls any electric floor heating system utilising its included floor temperature sensor and built in air temperature sensor. 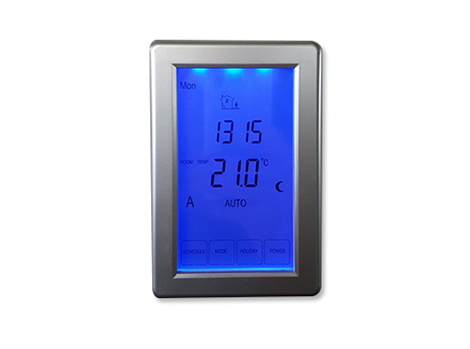 Zone 2 controls any heated towel rack utilising an on/off timer feature not dependant on temperature sensors. 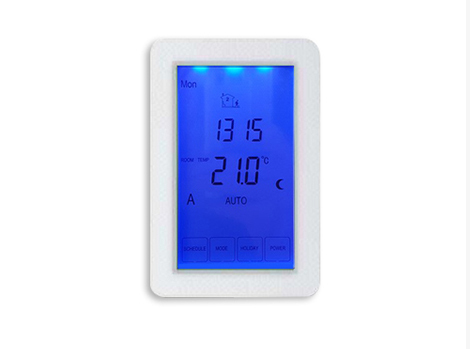 This controller can be used to control just floor heating, just a heated towel rack or both. Seperate timing scheduels can be set for each. Made specifically for the Australian and New Zealand market, the RX-10 Controller is super easy to use, and mounts vertically to a standard light switch plate / power point bracket. Your electrician will thank you and you will save time and money when installing as it is no harder than installing a light switch or power point. All other entry level controllers are made for the world wide market (thus they are cheaper) and require special mounting using wall plugs or similar and take a lot more time to mount. NEW MENU DRIVEN SOFTWARE: so easy to use, you won’t even need to read the instructions! Internal battery backup. Will resume last setting after a power outage and maintain clock. Perfect for connecting to automated systems like c-bus or similar that controls power to the unit. So easy to fit your electrician will be smiling! 5 year warrantee on your control panel! “ What?? ”,,,“ 5 years?? ” I hear you say… Yes, I will replace your control panel free of charge if you have any troubles with it. I stand behind my products and I really look after my customers, as I REALLY appreciate your business. Let us help you start your DIY heating project! Hi there, my name is Steve. I own and operate a small floor heating business located on Sydney's Northern Beaches. We specialise in DIY floor heating kits for under tile, in- concrete slab, and under carpet applications. We take great pride in supplying high quality products and good old fashioned service to make your heating project a breeze! I am generally the person who answers the phone and I take a real interest in my customers projects. From a simple bathroom floor to multi zoned living areas, I am here to help you every step of the way!